Hardware that you can easily change out yourself. No matter how styles, colors and needs change you can easily update your look on your new home quickly and easily with these amazing new product Las we discovered at the 2019 International Builders Show. There have been a lot of advances in appliances these days. We toured the International Builders Show and found all the latest and greatest features and new offerings in home appliances. There are so many new features and functions that now is a great time to learn all the new things hitting the market! Millennial home buyers think and act differently than your traditional home buyers. We discuss ways that they research interact and decide on a home purchase in this episode of the Home Building Hero. More and more homeowners and designers are going bold with their cabinets for their homes these days. Find out what new colors and styles are hitting the market these days. From bold colors to unique textures and materials you are sure to see changes in cabinet styles over the next few years! Spring is here and it is time to create an amazing outdoor living area to take advantage of all the warm beautiful days. There are so many things you can do to your patio to turn it into a great place to entertain. We discuss different surface options, outdoor cooking, fireplaces, and where the best place to start this project. Owning a condominium is a great option if you like to travel or have a second home. They offer many benefits from security, less maintenance, more amenities so that you can have a more carefree lifestyle. So listen in to see if being a snowbird is in your future!! We look ahead to the future of housing. What kind of rooms will there be? What features will be “must have” ten to twenty years from now? New innovations and technologies will impact the homes and rooms in those houses. We discuss all of that in this episode of the Home Building Hero. Spring is here! It’s time to take a good look around your home and make sure everything is in proper order. Taking a little bit of time to look at the components of your home will make it easier for you to maintain your home. In this episode we point out several tips on what to look for to prevent potential problems before they happen. 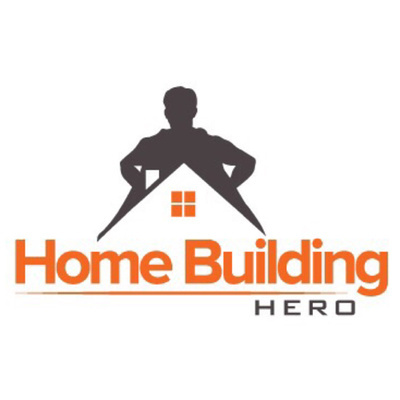 Learn some great places to get inspiration for your next home build remodel or design update for your home on this episode of the Home Building Hero! First time home buyers all have regrets about their first home purchase. We explore a recent study that looks at each generation of Home Buyer and what their top regrets were and compare how that has changed over time and how each generation has viewed housing. After visiting the largest building show in the world, I have noticed some amazing new trends in fireplaces for new homes. Unique shapes, special installations, to narrow walls there is a product for any application. Find out all the great fireplace options that are available to you in this episode. The Home Building industry is over regulated. We discuss a recent research survey detailing the cost added to a new home due to Local, State, and Federal Regulation. The amount will astonish you! In a time when there is a lack of homes in the market and affordability is challenging we all need to be aware of how much even a simple law can push buyers out of the housing market. Learn all about the hot new hardware Trends for new homes in 2019. The Home Building Hero toured the International Builders Show in Las Vegas and brought back his observations on the show and what styles and trends are coming down the line. The process of getting an accurate appraisal is flawed. If you are building a new or custom home; especially in a market with rising costs you will have challenges. We explain why the appraisal system is flawed and how it is hurting new construction in this podcast. Remodeling your home can be a great option if you live in a very desirable area. However many times the cost associated with her remodeling and the impact on the value of your home are two different things. We explore some research to let you know which remodel projects are most cost-effective so you can determine if you are better off selling your home or leaving it as is. Millennial Home Buyers are a driving force in the industry but they do things different than a typical buyer. How do they research, what decisions factor into their purchase and how do we best communicate with them? We discuss all of this on this episode of The Home Building Hero! There is a severe shortage of skilled labor in the homebuilding industry. How did this happen? What can we do to solve the issues? And what does this mean going forward for homebuilders, the trades, and you as a homeowner. We tackle some of these issues in this episode. In order to create more affordable homes we need to rely on innovative products to help us create more space in a new home. The homebuilding hero has just returned from the International Builders Show in Las Vegas and has scoured the show for a great space saving appliances and technology that can be integrated into a new home to save valuable space and yet provide the features you want and need in your new home. If you are a first time buyer wondering if you can purchase a new home, there are several grants and programs available to you to assist you with your down payment and your financing. We discuss some of these programs and where you can go to apply for them. When you are planning to buy a home, there are several key steps you should go through in order to have a great transaction. We cover the 10 key steps you need to know when buying a home in this episode of the Home Building Hero. Buying your first home is an exciting time! However many first time homebuyers fall into the same mistakes. We detail the most common five first time homebuyer mistakes and how you can avoid them so you have a great home purchase experience. If you don’t own a home, 2019 should be the year that you try and make that happen. We present five compelling reasons why you should buy a home this year and how it can positively affect your financial future going forward. Need to kick your flooring up a notch in your new home? Well these days there are a ton of flooring options out there that are not only great looking, but can also be affordable. We discuss all the great choices and options out there as well as the benefits and drawbacks of these new types of floors. So no matter if you are building, or remodeling your existing home you won’t have to settle for boring flooring anymore! Do You Need a REALTOR When Buying Or Selling Your Home? If your are planning on buying or selling a home soon, you may be deciding if you need to involve a Real Estate agent in the process. The home sale process is complex and having a trusted professional by your side can help you avoid some pitfalls. We discuss why you should have a REALTOR and some of the added benefits. Buying a vacant lot for a new home build is exciting, however there are several things you must consider so that you don’t put yourself in a difficult situation. From what to look out for to when to involve your potential builder, find out everything you should look for and ask before you buy the lot of your dreams! A huge shift in technology is happening in the most unlikely places - your toilet! Is this a trend? Are they worth the cost? What new things are they offering that you can take advantage of? Do they make your life better or are you just flushing money down the toilet? Literally! Find out all the latest innovations and offerings from lighting, to smart tech, to self cleaning toilets. 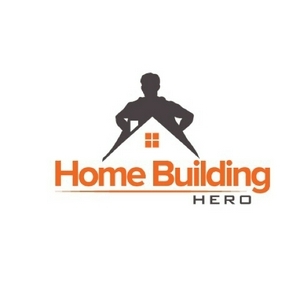 We have it all covered here on the Home Building Hero! Anytime a large amount of snow comes down followed by fluctuating temperatures ice dams can occur. If not handled properly these can cause serious leaks, mold, and damage to your home. We have some simple solutions to help eliminate them and also explain why they happen in the first place. A few simple proactive moves could save you thousands of dollars! Cold winter weather causing frost on your windows? There are many causes for this and depending on the age of your home there are different remedies for this situation. Find why this happens and some simple remedies for this situation! Is Winter a Good Time To Build A Home? Many potential buyers are worried or turned off by the idea of building a home over the winter months. The Home Building Hero debunks that myth and shows why building over the winter can be better not only for the quality of the home but the overall build. A home constructed over the winter can be stronger, better built, and have less shrinkage as well as many other factors. Tips for a Functional Kitchen! Creating a great and truly usable kitchen can be a challenge. Many times simple things like organization storage and workflow can be overlooked. In this podcast we discussed some great design options and storage solutions to help you create a truly functional kitchen. Building a new home can be a long process with lots of different steps. Learn each of those steps in approximately how long each step takes in the build cycle. No matter if you are building a new home, or thinking about building a new home this episode will be super informative about the homebuilding process. Do you need to work from home? Or do you own your own business? Then you probably need to have a home office. Even if you don’t work from home, a home office is a great place to read a book, pay your bills, or a place for you to have some quiet time. Learn how to create the ultimate home office in this podcast. We will give you tips on how to lay it out and what kind of things you need to put into it to make it a great place in your home. Do You REALLY Need a Smart Home? Smart Homes are all the rage these days. With so may providers, products, and options where do you start? The Home Building Hero will help you sort out what is available, what the key benefits are and what steps you should take to make a Smart Home that you will enjoy! Creating a place for your child’s imagination to flourish. A place for them to creating lasting memories. Or just a place for them to burn all that excess energy. Find out how to make the perfect play room in your home. A space that will blow them away and keep them off their screens! One of the most in demand rooms in a new home is a mudd room. This is the main entry point to your home and a source of frustration for many homeowners. A properly designed mudroom with well thought out storage solutions can turn a good home into a great one. Learn how to make a Magnificent mudroom in this episode of the Home Building Hero. One of the most important questions that people don’t ask when looking at new homes is, what is behind the walls? This is one of the most vital areas of a new home and unfortunately, in the area where some builder skimp. This can have long-term ramifications both structurally and financially so we explain to you what to ask and how to find out what is behind the walls of your home. Take your loft area in your next home to that next level with these amazing ideas and tips. We talk all about the trends and possible uses for these great spaces in your home. From a play room, to a library to a home office there are so many different ways that you can make an amazing loft and turn unused space into everyone’s favorite area. People are ditching their formal dining room as are living patterns change. But what are we replacing these rooms with? If you have a dining room area how can you better utilize it? Find out this in more in this episode of the Home Building Hero! Showers are all the rage there’s days. Find out how you can have a Rockin’ shower that will make you the envy of the neighborhood. Learn all the cool products out there to make the shower of your dreams come true! What You Must Avoid Doing At All Costs Before Getting A Home Loan! Before you run to the bank and get pre qualified or apply for your mortgage the Home Building Hero explains the things YOU SHOULD NOT DO! Doing any of these things can wreck your credit and smash your dreams of getting a new home! The 25% Tariff on China is having a major impact on home Building and remodeling! Find out what products are affected. Hear about how it will affect pricing for your next project and hear what some contractors are doing to mitigate these concerns. Before you go to the bank and get financing there are a ton of things you should get together and organized before you walk in the door. The Home Building Hero discusses all the paperwork you need to have an easier and clean approval process! Making The Ultimate Garage-What you need to know! Hey guys! This ones all for you! Learn all the things you should add to create the Ultimate Garage! Make sure to consider storage comfort, lighting, and use of space. Don’t build your new home until you listen. Owning a condo can be a great fit for some families, however, there are disadvantages to owning a condominium. We highlight some of the challenges of condo ownership including lack of control, Association politics, reduced privacy among other issues. This is a must listen if you plan on living in a condo in the near future. Thinking of buying a condo? We examine some of the key benefits of condominium ownership compared to traditional housing. If you are tired of all the yard work and want to spend more time traveling or in your hobbies a condo may be for you! Learn all the benefits condo ownership can offer you! The 2019 Housing Market Forecast looks back on the housing market in 2018 and we discuss where home Building, Real Estate are headed for 2019. We discuss employment, skilled labor shortages, tariffs and other factors influencing new construction. Going to build a new home? Find out the key differences between a custom home builder and a production builder. Learn which one is the best fit for you! Getting ready to go to the bank for financing? Find out what information you need to bring with you so that you can successfully purchase or build your dream home!! Before you go out and purchase that dream piece of land; STOP! Make sure to listen to these land purchasing tips so you don’t put yourself in a bad situation before you start building your new home. Did you realize that a simple paint color can change your homes value by thousands of dollars?? The Home Building Hero dissects this study and recommends which colors to use and where to maximize you return on investment. Avoid these 9 mistakes when you build your next home! The Home Building Hero points out some of the key pitfalls of building s new home and what to avoid. Save yourself time and stress on you next build by following this advice. Make thousands of dollars more a year by owning your home. Learn why you should get into a home as soon as possible and avoid the financial pitfalls of renting! Owning s home is a great path to growing your personal wealth. Sort through all the jargon in Condominiums and learn all the key terms. Buying a new condo will be easy as leading builder David Belman explains all the key terms you need to know so you don’t get lost. So you are going to build a new house. Where are you going to start? A good place to begin is with a realistic budget. Award-winning homebuilder David Belman gives you pointers on How to create a budget for your new home. Is clutter taking over your home? Time to tune into the Home Building Hero for advice on how to build a new home that is organized, stylish, and clutter free! Learn how “The Home Building Hero” David Belman President of Belman Homes went from sweeping floors to an industry leading home builder who provides Home Building, Design, and trends for new homes. Learn what you should add to your basement to create the Ultimate Man Cave from Wisconsin’s Leading Home Builder David Belman. With this podcast you will have tons of ideas for your basement, bar, and entertainment area.